An Improved Structure of an Adaptive Excitation Control System Operating under Short-Circuit, FILIP, I., PROSTEAN, O., VASAR, C., SZEIDERT, I.
Pulse Coupled Neural Network based Near-Duplicate Detection of Images (PCNN - NDD), THYAGHARAJAN, K. K., KALAIARASI, G.
PARK, Y. , LEE, Y. For passive type RFID tags, EPCglobal Class 1 Generation-2 Revision is used widely as a de facto standard. As it was designed for low cost, it is quite vulnerable to security issues, such as privacy concerns. This paper presents a new RFID mutual authentication protocol, which is designed to be configured on EPC Gen2 platform and to meet various security requirements while providing efficiency using PRNG (Pseudo Random Number Generator). Group-ID is used to minimize the authentication time. Security analysis of the proposed protocol is discussed. EPCGlobal Class 1 Generation 2 Revison, available at http://www.epcglobalinc.org/standards/uhfc1g2. M. Ohkubo, K. Suzuki and S. Kinoshita, "Cryptographic Approach to Privacy-friendly Tags", in Proc. RFID Privacy Workshop, MIT, 2003. Burmester, M., and Munilla, J. "A Flyweight RFID Authentication Protocol", Proc. the 5th Workshop on RFID Security, 2009. M. O'Neill, "Low-cost SHA-1 Hash Function Architecture for RFID Tags", Proc. RFIDSec'08, 2008. R. John Robles and T. Kim, "A Review on Security in Smart Home Development", Advanced Science Letters, vol. 15, pp. 13-22, 2010. 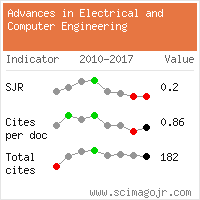 A. Irshad, W. Noshairwan, M. Shafiq, S. Khurram, E. Irshad, M. Usman, "Security Enhancement in MANET Authentication by checking the CRL status of Servers", Advanced Science Letters, vol. 1, pp. 91-98, 2008. N. Omer, F. Elssied, O. Ibrahim, A. Ali A.alaziz and A. Yousif, "Review Paper: Security in E-government Using Fuzzy Methods", Advanced Science Letters, vol. 37, pp. 99-112, 2011. J. Cho, S. Yeo, Sung Kwon Kim, "Securing against brute-force attack: A hash-based RFID mutual authentication protocol using a secret value", Computer Communications vol. 34, no. 3, pp. 391-397, 2011. T. Li, "Vulnerability Analysis of EMAP-An Efficient RFID Mutual Authentication Protocol", Proc. ARES 2007, pp. 238-245, 2007. H. Chien, C. Chen, "Mutual authentication protocol for RFID conforming to EPC Class 1 Generation 2 standards", Computer Standards & Interfaces, vol. 29, no. 2, Pages 254-259, 2007. P. Peris-Lopez, J. Cesar Hernandez-Castro, J. M. Estevez-Tapiador, A. Ribagorda, "EMAP: An Efficient Mutual-Authentication Protocol for Low-Cost RFID Tags", Proc. OTM 2006 Workshop, LNCS vol. 4277, pp. 352-361, 2006. P. Peris-Lopez, J. Cesar Hernandez-Castro, J. M. Estevez-Tapiador, A. Ribagorda, "M2AP: A Minimalist Mutual-Authentication Protocol for Low-Cost RFID Tags", Ubiquitous Intelligence and Computing, LNCS vol. 4159, pp. 912-923, 2006. S. Kang, D. Lee, I. Lee, "A study on secure RFID mutual authentication scheme in pervasive computing environment", Computer Communications, vol. 31, no. 18, pp. 4248-4254, 2008. R. Paise, S. Vaudenay, "Mutual authentication in RFID: security and privacy", in Proc. of ASIACCS '08, pp. 292-299, 2008. H. Chien, "SASI: A New Ultralightweight RFID Authentication Protocol Providing Strong Authentication and Strong Integrity", IEEE Trans. on Dependable and Secure Computing, vol. 4, no. 4, pp. 337- 340, 2007. Y. Lee, Y. Park, "A New Privacy-preserving Path Authentication Scheme using RFID for Supply Chain Management", Advances in Electrical and Computer Engineering, vol. 13, no. 1, pp. 23-26, 2013. T. Li, W. Luo, Z. Mo, and S. Chen, "Privacy-preserving RFID Authentication based on Cryptographical Encoding" Proc. IEEE INFOCOM'12, pp. 2174-2182, 2012. Q. Yao, Y. Qi, J. Han, J. Zhao, X. Li, and Y. Liu, "Randomizing RFID Private Authentication," Proc. IEEE PERCOM, 2009. T. Dimitriou, "A Secure and Efficient RFID Protocol that could make Big Brother (partially) Obsolete," Proc. IEEE PERCOM, 2006. L. Lu, J. Han, L. Hu, Y. Liu, and L. Ni, "Dynamic Key-Updating: Privacy-Preserving Authentication for RFID Systems," Proc. IEEE PERCOM, 2007. L. Lu, J. Han, R. Xiao, and Y. Liu, "ACTION: Breaking the Privacy Barrier for RFID Systems," Proc. of IEEE INFOCOM, 2009. L. Lu, Y. Liu, and X. Li, "Refresh: Weak Privacy Model for RFID Systems," Proc. of IEEE INFOCOM, 2010. M. Ohkubo, K. Suzuki, and S. Kinoshita, "Efficient Hash-Chain based RFID Privacy Protection Scheme", Proc. Of UbiComp Workshop Privacy, 2004. T. Dimitriou, "A Lightweight RFID Protocol to Protect Against Traceability and Cloning Attacks", in Proc. Of SecureComm, 2005. D. Henrici, P Muller, "Providing Security and Privacy in RFID Systems Using Triggered Hash Chains", Proc. 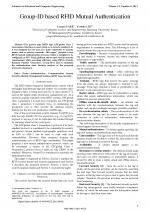 of IEEE PerCom, 2008. Citations for references updated on 2019-04-16 00:42 in 102 seconds.